The answer always varies from person to person and critic to critic, but the question is constant and never-ending. Who makes the best burger around these parts? Depending on your idea of a good burger, many purists point out everything from what style of meat is used, the type of cheese, toppings added, griddled vs. open flame, and bun consistency. With endless options, you’ll never really get the right answer until you try them out yourself. As far as HighwayHighlights is concerned, the best burgers in Minnesota are found in the Twin Cities at places like Parlour, Revival, Nolo’s, and Lyn 65. These American classics are created by renowned chefs in innovative kitchens and held to scrutiny from food critics, City Pages, the Star Tribune, and everyone with a social media account. And then there’s the whole Jucy Lucy thing. But many dissent, adhering to the ethos that the best burgers are found at dive bars and lunch counters, served by longtime short-order cooks and delivered by cranky servers in a basket with fries, and bottles of ketchup and mustard on the side. They may be right too. This brings us to the Maple Beach Resort on the south shore of the beautiful Lake Lida near Pelican Rapids, MN. 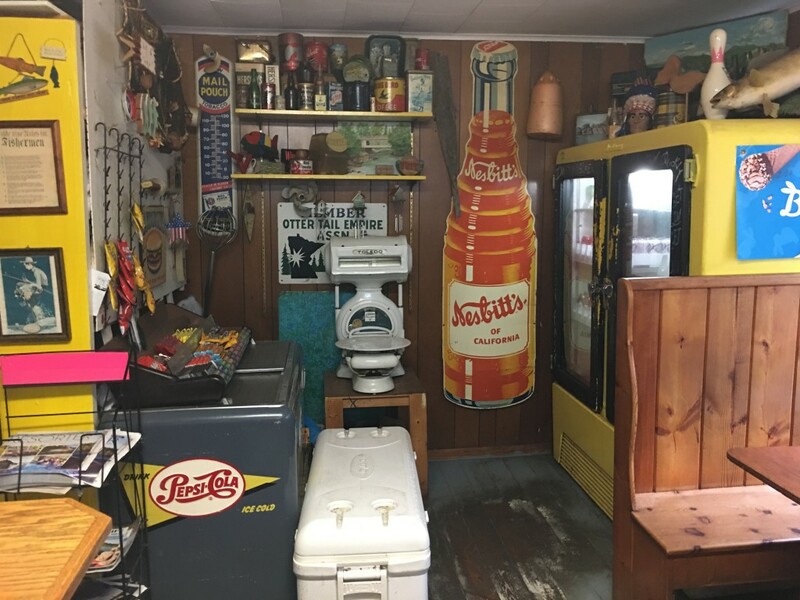 The run-down, no-frills eatery offers just 5 stools at a small counter in the tiny restaurant, with walls full of vintage advertisements and fishing-related kitsch. Plan on waiting about a half-hour for your food. 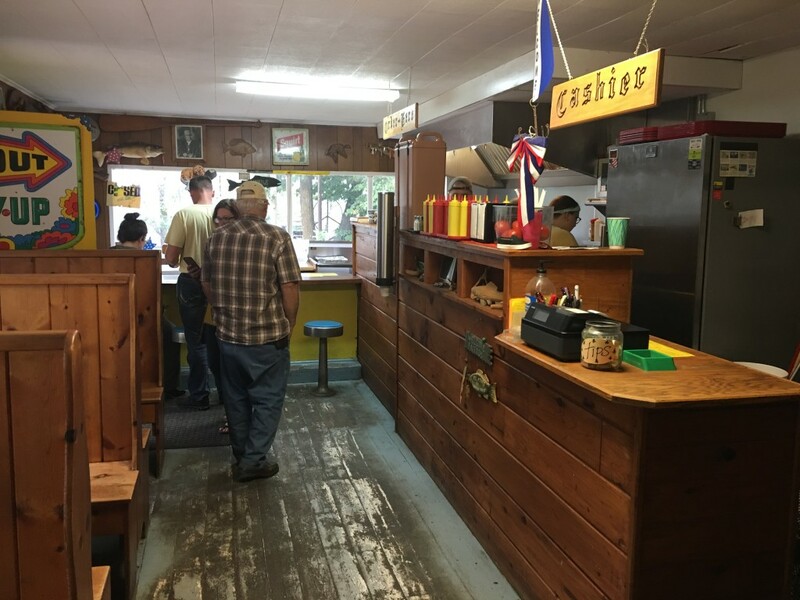 The offerings on their one-page menu strictly consists of burgers, fries, onion rings, and chicken tenders. No alcohol is served, although there is a cooler with regular and craft soda’s available. Pay with cash only. You give your order right to the cook and receive a ticket number. Then you wait outside. When your order is up, the cook will pound on the window holding a number up like an Olympic judge, and you go get your tray. Patrons usually dine either outside at the picnic tables, on a boat if they arrived that way, or take it to go. There are no servers, and you pay when you’re finished. In countless online reviews, people rave about the burgers here and joke about the ambiance. The place is quirky, casual, and old-school, to say the least. But that doesn’t stop them from flocking to this lakes-country hidden gem. We’ve tried countless burgers in the lakes area and they all tend to be the same. 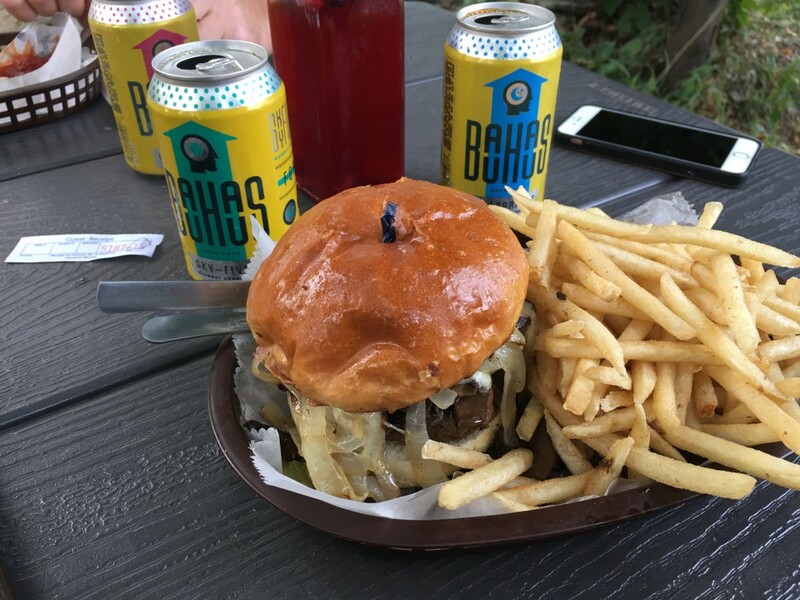 With the exception of a few places in Fargo-Moorhead (JL Beers and BLVD Pub namely), most burgers you’ll find in the Detroit Lakes region would be considered “bar food.” This place is different, and the hype is real. Just don’t expect them to roll out the red carpet when you arrive. Their hours are short (11-2 and 5-8, closed Mondays), the wait time can get long, and the outdoor seating is limited. Sometimes they run out of food. But once you tear into that slab of pure American beef with its melty pool of cheese and toasted bun, you’ll realize why people come back to this diamond in the rough, every summer, before heading back home and the joint closes up for the winter around Labor Day. Put it on the list for your next visit to the region. Have you eaten here before? 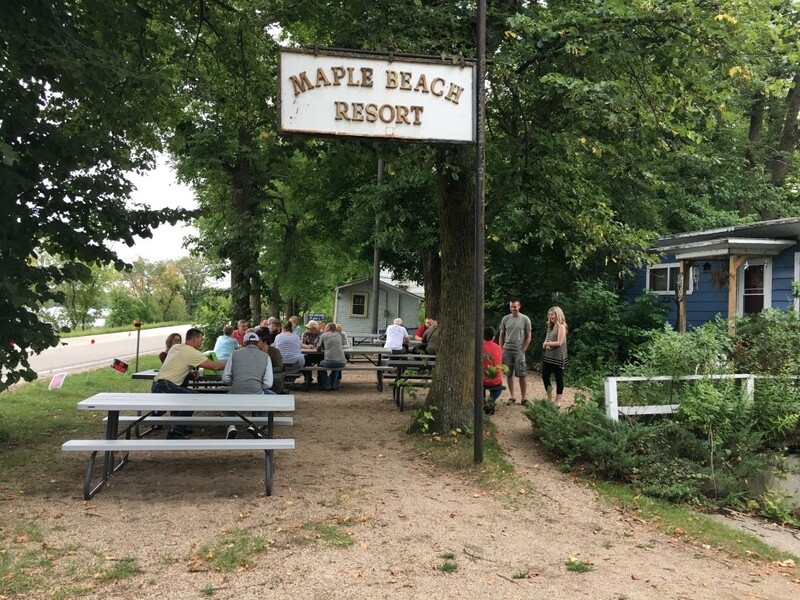 Let us know your thoughts on Maple Beach Resort and any other burger-related musings in the comments section! 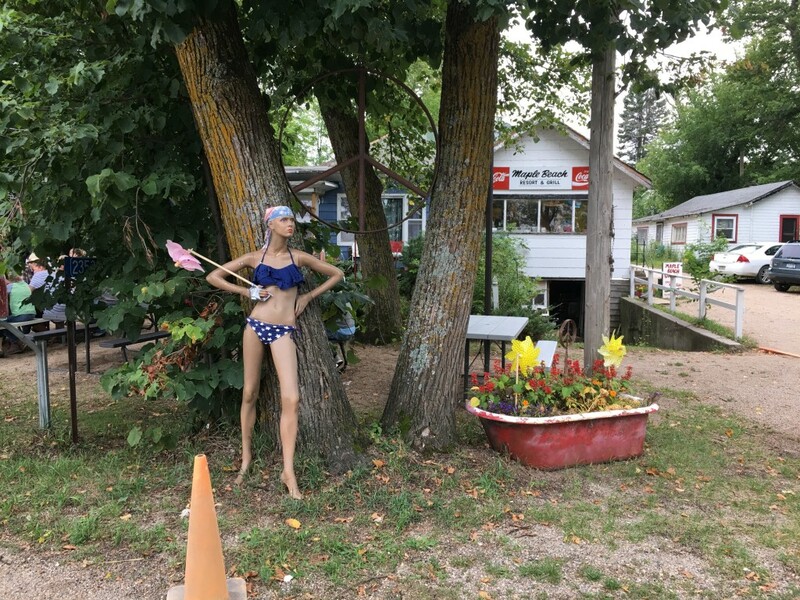 While in the area: Maple Beach is just a couple miles from the beautiful Maplewood State Park, with its great hiking trails that wind through wooded bluffs, or swing into Pelican Rapids and take a picture with Pelican Pete, the world’s largest Pelican. Maple Beach has the best burgers of all time! It’s totally worth the wait. Beefy, Yummy outstanding good burgers. More fries than you could possibly eat. Crisp tasty chicken strips. We live with a 1/2 mile and always call-in our order, totally worth the wait. It’s a jewel in the rough!!!! Carl Pearson built Maple Beach in the 1930’s, just down the road from my grandparents ‘Stony Bar Resort’ aka ‘Pearson’s Resort. 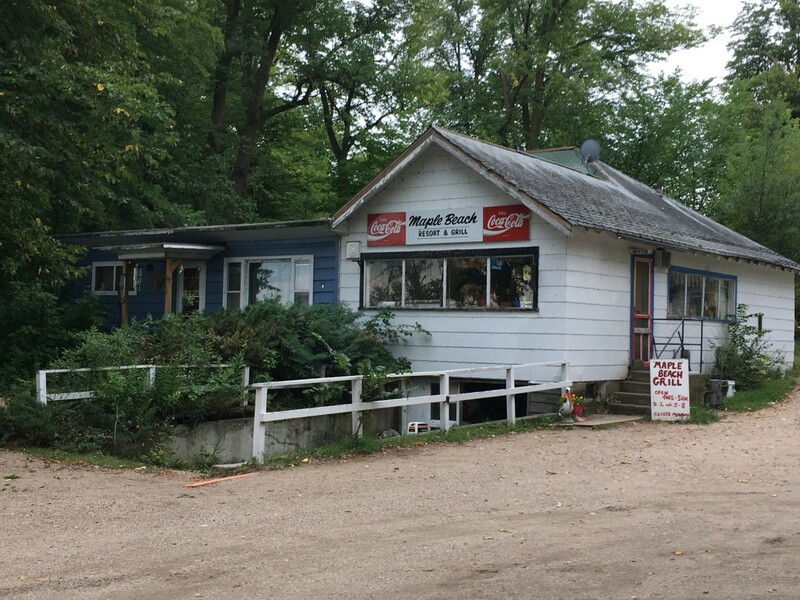 The place switched owners several times over the years until Ann and Gene Davis bought it around 1990. The burger grille has been there ever since I can remember, and I can remember pretty far back. Ann’s brother Phillip took over the kitchen and the rest is history. Simply put, Maple Beach serves the best all round burger you could taste. And you better think about sharing an order of fries. There’s more there than you can imagine. Ambience? 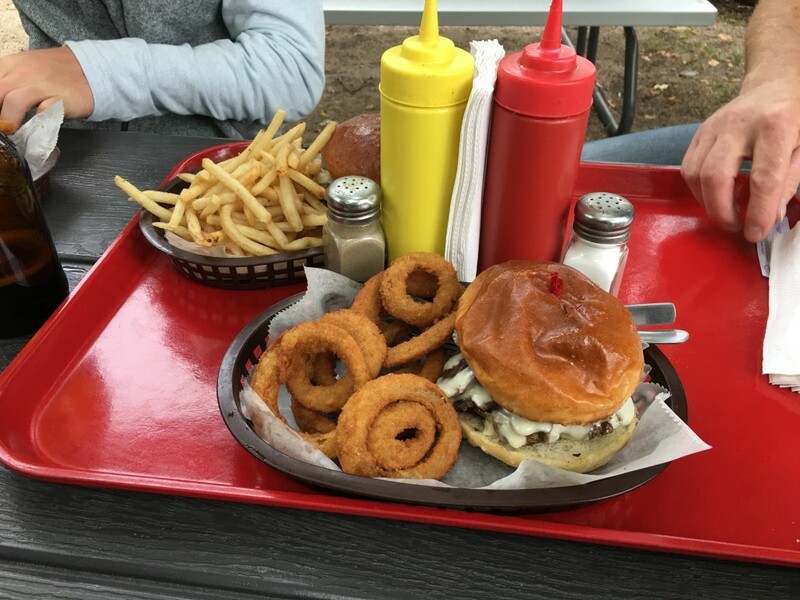 You’re sitting at a picnic table, Lake Lida is right in front of you, and you’re munching on the best burger in your Life. Yeah, they’ve got ambience down pat. And when they close for the season, you’ll be thinking of your first ‘Phil-burger’ for next year. Cheers! 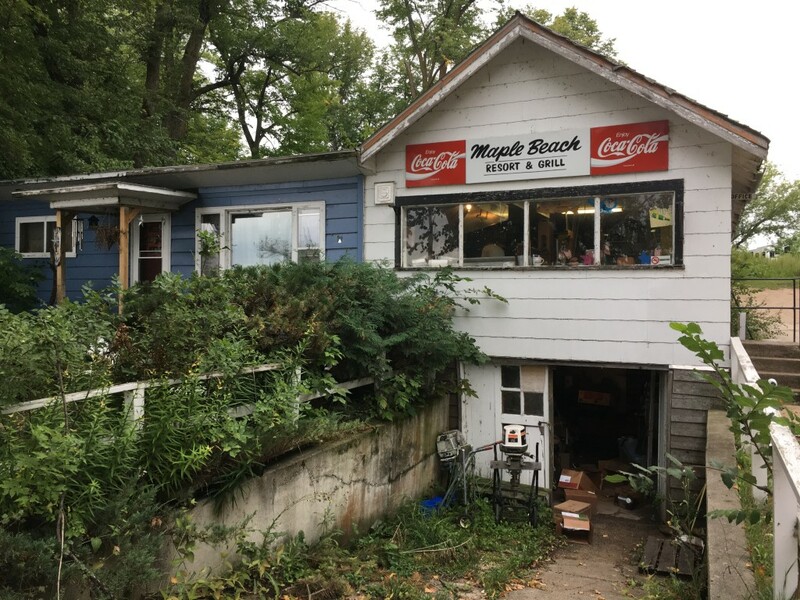 …and when they close for the season and you realize that, once again, you didn’t make the special trip out to Maple Beach for a burger, you will be sad, sad, SAD! Best mushroom swiss burger and onion rings around. Best bacon cheeseburger around! We can’t wait for them to open in the spring and hate to see them close in the fall! The root beer and cream soda are amazing! All around fun place to go! A picnic without having to pack a meal!! How much better can you get?! A family tradition, love the burgers, quanity is overwhelming. Will keep up the tradition as long as Phil is cooking.